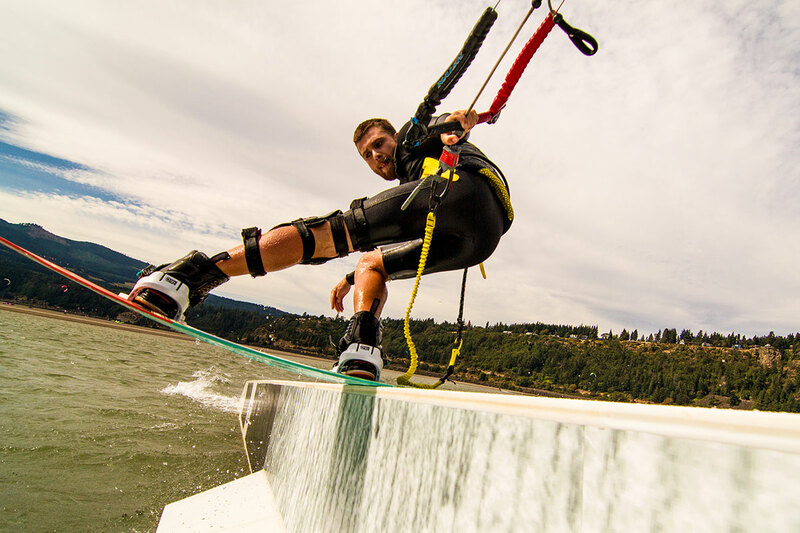 Ewan burst onto the global scene in 2017 by scooping up a number of major titles: 2017 Triple S champion; 2017 AWSI Kiteboarder of the year; Aus/NZ Champion; 2017 North American Champion, 2nd Overall Kite Park League 2017. We are stoked that Ewan has joined the LiP team! New colours for the Surge! Following the introduction of the Surge a little over a year ago, we have added a splash of colour to the range with the introduction of 3 new colours – Matt Graphite / Green, Matt Graphite / Red and Matt Graphite / Blue. All come with ‘smoke’ lenses and the usual accessories and retention system. The Surge offers the benefits of the premium Typhoon watershades, but at a much reduced price. Retailing at US$99, the Surge boasts a long list of innovation and quality materials to enhance your experience on the water and ensure your eyes remain in rude health. The Surge features 100% UV protection, polarized lenses with hydrophobic, oleophobic and scratch resistant coatings, and a lightweight flexible frame with a built-in venting system to counteract fogging. The lenses have an increased curve radius to enhance peripheral vision. Coming complete with a failsafe leash and retainer system, can you afford not to place these on your Christmas list? To get the very best out of your watershades, and to ensure the hydrophobic & oleophobic coatings continue to perform as they should, it’s important to give some TLC after every session on the water. If you treat your watershades as an essential piece of your kit, you can ride better, harder and longer safe in the knowledge that you can see where you are going and your eyes are fully protected. It is worth remembering that salt crystals can blow far inland from the seaside, so even if you have not been out on the water, salt residue can build up on your lenses, especially around the lens rim. It’s essential to prevent a build up of salt on your lenses – it is corrosive and if left without treatment over time the salt will start to break down the coatings on your lenses. This is easily avoided. We are really stoked to announce that we will very soon be including the option of optical lenses for all our watershades and urban sunglasses. The service will be available by email from 10th December 2017 and through our webshop from 1 January 2018, and includes both single vision and progressive / varifocal lenses. For the Typhoon and Surge watershades, we are offering a new lens material -Trivex NXT®. This is a thin & highly impact resistant plastic with superb optical clarity, particularly at the lens periphery. 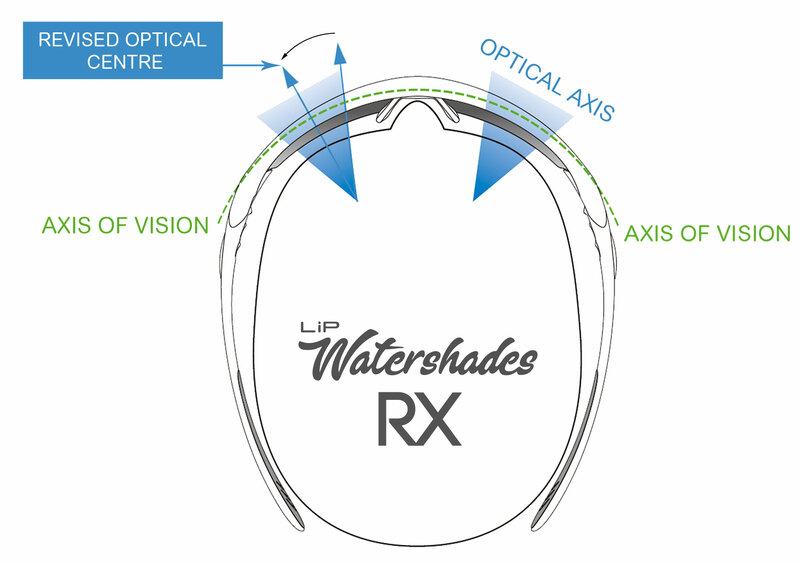 There is a revised optical centre for all Trivex NXT® watershades lenses, providing a balanced visual acuity in the periphery and crisp optics within the optical axis. For our urban collection, we will continue to offer polycarbonate and CR-39 lenses. All LiP RX lenses will be available for Sphere readings of up to +/- 8. There has been a steady rise in demand for prescription lenses from many of our discerning customers. We value our customer’s loyalty and hope that by making this service available, you will obtain even more value from your LiP experience. This service will be available both to existing customers and new purchasers, both through our webshop or via email. Please get in touch if you would like any further information through our contact form below. 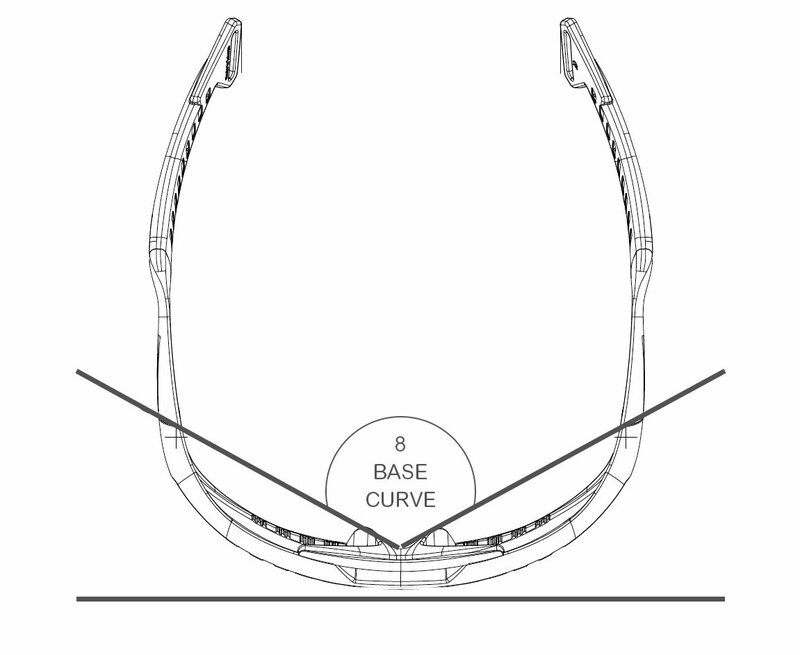 Why is frame curvature important? When it comes to protecting your eyes, choosing a frame shape suited to your activities is as important as getting your sunglasses lenses right. Today, most sunglasses manufacturers worth their salt ensure that their lenses block out 100% of UVA & UVB radiation, although there are still many cheap sunglasses around that do not even do this job right. But this is only half the story. Light can still enter the eyes from the sides, top and bottom of the lenses. The curvature of the frame in which the lenses are sited plays a further critical role. Put simply, the greater the curvature of the frame, the more unlikely it is that stray UVA and UVB rays will find their way into your eyes. To float – or not to float? The subject of ‘floating sunglasses’ is an interesting one, as there are many prominent sunglasses brands that believe this is the answer to the age-old problem of losing your sunglasses to the ocean. Although there are certainly occasions when floating sunglasses are suitable, in many cases, they are not suitable at all. It is an important question because if you add up the cost of all the sunglasses that you have lost at sea, it could be an eye-watering amount. Some floating sunglasses float because they have air chambers inside the frames into which – you’ve guessed it – air is injected. The frames may be a little lighter and a bit bulkier owing to the air chambers. Another method of achieving floating sunglasses is by using floating materials such as neoprene tubes. The central idea behind floating sunglasses is that if you drop them in the water, you can go back and pick them up. There are certainly times when this will be possible. For example on a calm day in quiet waters you might be able to quickly turn around and locate them. Or if you are paddling around the ocean on your SUP in nice flat conditions – and you drop your sunnies in the water, then ok – no problem – it is relatively easy to find them again. However, if the wind is blowing and there are waves and white caps, the chances of you finding your sunnies again, let alone picking them up, is remote at best. The larger the vessel you are navigating, the more difficult and cumbersome this task becomes. And if you are in any kind of race or competition, then there simply isn’t an opportunity to go back and retrieve your sunglasses from the water. Our two watershades, the ‘Typhoon’ and the ‘Surge’, do not float. We have designed these watershades so that they never get ejected into the ocean in the first place. Even in a big wipeout, they will stay secure and attached to you. It is important to do your research before you buy your watersports sunglasses – not only for your eye health but also for your purse strings. If you are planning anything more than light recreational sailing or SUP, we suggest that you steer clear of floating sunglasses for the reasons outlined above. The only way to ensure that you never lose your sunglasses to the ocean is to ensure that they are ALWAYS attached to you. It is a simple answer to a simple question. Our failsafe two-stage leash system that comes as standard on all our watershades achieves exactly that. 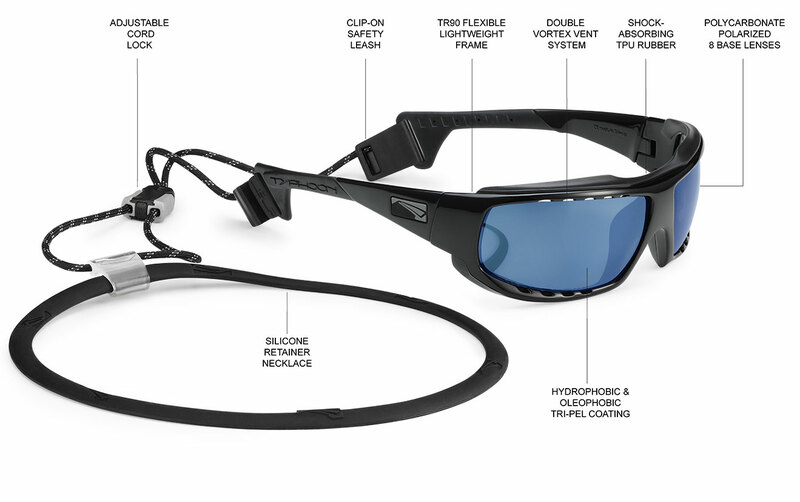 The first stage of our leash system secures the sunglasses tightly to your head by means of a non-slip cord, as seen in the image of our Typhoon model above. In most circumstances, this will secure your sunglasses from going overboard. But there is always the possibility of a fall on deck or a wave crashing over the boat that can pull the sunglasses off your head. This is where our failsafe silicone leash comes into play. Tucked away inside your clothing, the silicone necklace attaches to the non-slip leash cord. 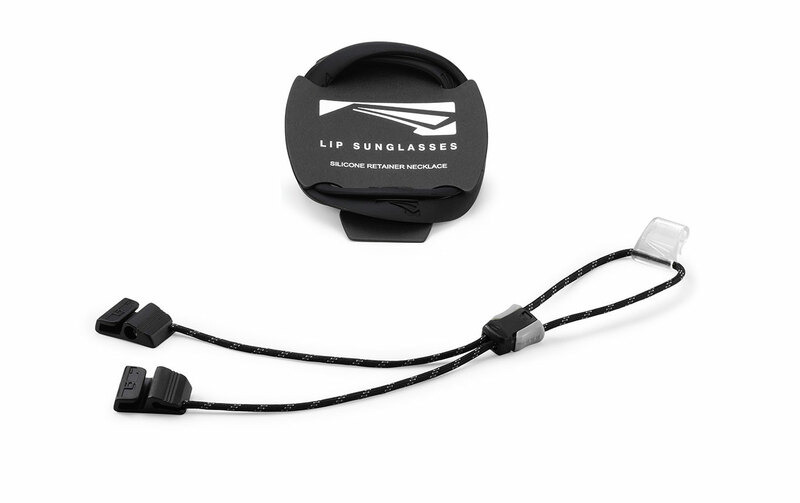 Even with the harshest wipeouts or even capsizing, you will hold onto your precious sunglasses and save yourself another trip to the sunglasses store. If protecting your eyes on the water is important to you, and you value the role your sunglasses play when you are out on the water, then take a look at our watershades as an alternative to the less than perfect floating sunglasses out there. Save your sunnies from the ocean. Take the flip – to LiP! LiP are back in the UK and are attending this year’s Southampton Boat Show in association with Yachts and Yachting magazine. You can find us at stand J090 in Ocean Hall. If you are a keen sailor and want to take care of your eyes on the water, then it’s worth coming down to see us. 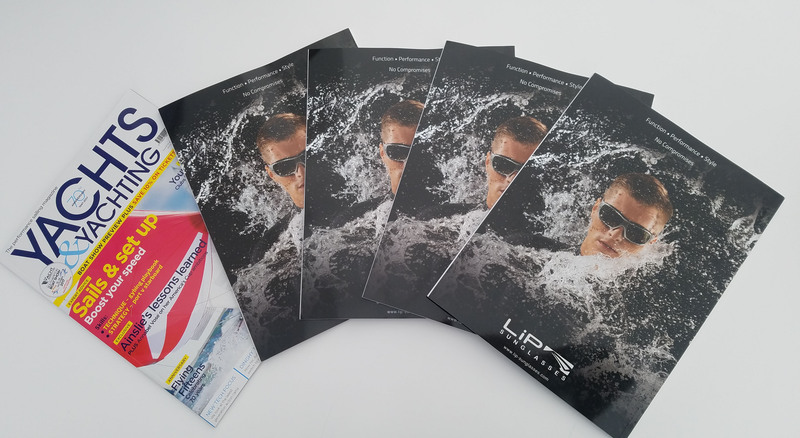 If you subscribe to Yachts & Yachting at the show you can claim a free pair of Surge Watershades as a joining gift. The Surge is packed full of clever tech and high quality materials and is essential eyewear for sailors. Now that is a great deal! See you at the show. Welcome Ozu-Tarifa to the LiP family! We are really happy to welcome Ozu-Tarifa as a LiP Sunglasses dealer in Tarifa, Spain. Ozu-Tarifa (www.ozu-tarifa.com) is one of the longest running kitesurfing / windsurfing outfits in Tarifa and occupy a great location next to ‘Los Lances’ beach. Not only do they offer premium equipment at competitive prices in their expansive shop, they also run a school, kite holidays & camps and sail / kite repairs. If you are after a pair of LiP Sunglasses in Spain, get in touch with either Dani or Jose at info@ozu-tarifa.com or by phone on (+34) 649 762 587. The countdown is on for Cowes Week – the world’s largest sailing Regatta. LiP are attending this year’s event as an exhibitor and one of the sponsors from 28 July to 5 August. This year the Isle of Wight venue looks set to impress. Early indications are that we are in for some great sailing conditions as one system after another piles in from the Atlantic over the next ten days. The latest forecasts are showing 20-40 knot winds blowing from Saturday 29th through to Friday 4 August. The same forecasts are also suggesting we might be in for some significant rain – so some classic British weather then! Here at LiP, we are gearing up for a busy week. 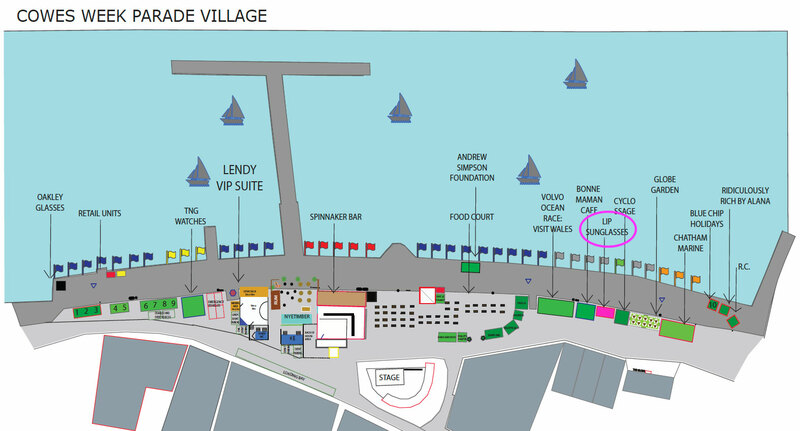 We have an exhibitor’s marquee located in the sponsors area of Parade Village and look forward to meeting as many sailors and watersports addicts as possible over the course of the week. We have a selection of our watersports sunglasses – the ‘Typhoon’ and ‘Surge’ – available for demos and testing throughout the week. We will also be offering visitors a chance to enter our prize draw to win a selection of LiP goodies. Come and visit us if you’re planning to attend the event. You will find us in the marquee coloured pink on the map below. Spanish Impulse team qualify for Youth America’s Cup Finals! 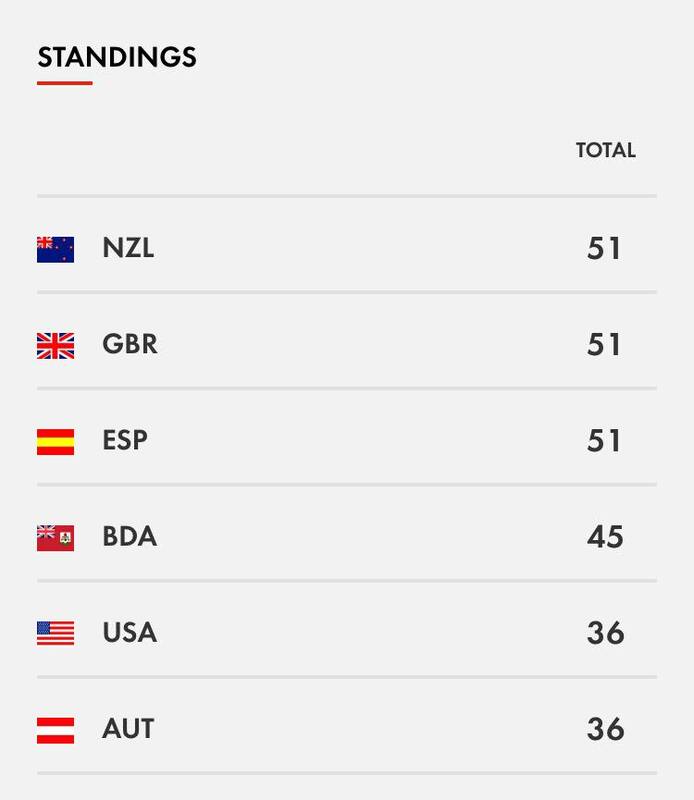 Following superb performances on 12th and 13th June in the Great Sound Bermuda, the Spanish Impulse team are headed to the finals of the Red Bull Youth America’s Cup! LiP Sunglasses are the official eyewear supplier of the Spanish Impulse Team.